Ahhhhh, one of my favorite things to do, and by far the best way to get my head cleared is to practice yoga. Very few things have been continuously practiced for over 5000 years with continued success. Yoga proves that mind, body, and spirit are healthier with good practices. Whether you are looking to get a workout or to stretch and breathe, practicing yoga is an excellent way to move your body. I am relatively new at it and my daughter has only practiced a few times and we have found a tremendous amount of yoga and meditation classes in our home town and at UNF respectively. Haveuheard that UNF offers a bunch of classes in the Student Wellness Center? They offer the following classes which are all 55 minutes. Acro Yoga – This class will teach you how to fly, base, spot, stretch and strengthen your muscles all while doing various poses. Mixed Level Yoga – This class is designed for a variety of levels from beginners to more advanced students. A modification will be introduced for more complex poses for beginners. Power Yoga – Is an energizing, cardio workout that focuses on strength, stamina, balance, and core. Relaxing Yoga (One of my favorite classes). Stretch and move through traditional postures at a relaxed pace. Mindful practice with guided breathing and relaxing poses. No prior experience is necessary. Yogi Abs & Arm Balances – Building a stronger core with ab exercises and fun, challenging arm balances. So many classes to choose from! Most students take classes on campus because they are convenient and free. There are some studios that are off campus and located near to UNF. Mindful Motion Yoga – Offers an excellent introductory offer of $30 for 30 days. Red Skies Yoga – A full class schedule offering a variety of different level classes. The Yoga Company – Located on the way to the beach. $40 for 40 days. 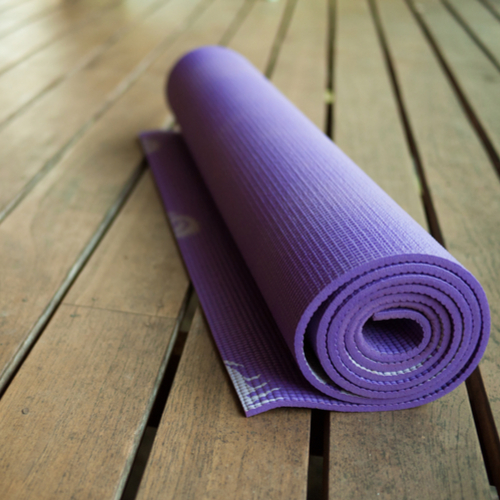 Yoga Den – Multiple locations around Jacksonville. Studios that offers a wellness center as well for massages and acupuncture.